Delegates at the party’s conference in Liverpool voted overwhelmingly to keep the option of a fresh vote “on the table”, after Shadow Brexit Secretary Keir Starmer explicitly stated that it could include the option of staying in the EU. Mr Starmer was given a standing ovation from a large majority of delegates. His declaration that “nobody is ruling out Remain as an option” was not included in printed copies of his speech distributed to the media. 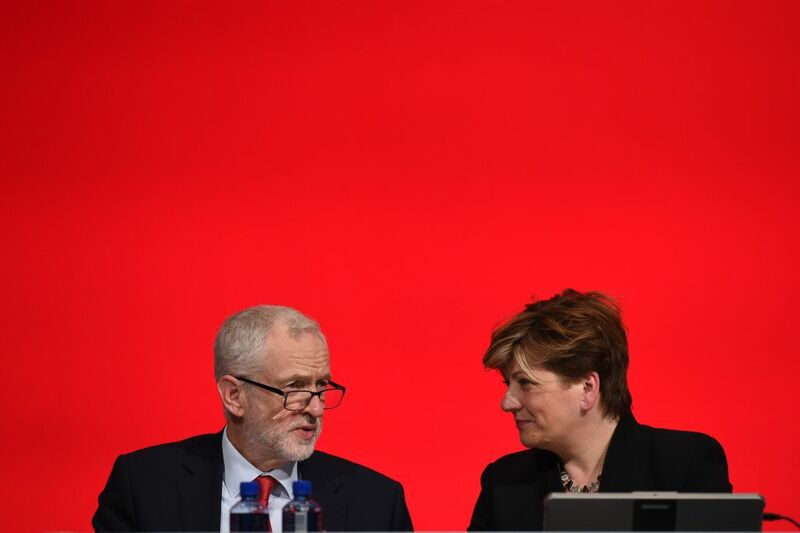 Both Mr Starmer and Shadow Foreign Secretary Emily Thornberry told the conference that they would personally vote Remain in any re-run referendum. However, Labour leader Jeremy Corbyn repeatedly declined to say which way he would vote, telling Five News: "It depends what the question is in the referendum... We will decide as a party when the referendum comes what our position will be. "I think it's pretty obvious what party members are thinking at this conference." The final motion put to delegates does not commit Labour to a referendum, and makes clear that its preferred option would be an early general election. But Mr Starmer told the conference that if Labour could not secure an election "we must have other options". He said: "That must include campaigning for a public vote. "It is right that Parliament has the first say but if we need to break the impasse, our options must include campaigning for a public vote and nobody is ruling out Remain as an option." Labour's vote was welcomed by the Best For Britain campaign for a second referendum, whose chief Eloise Todd said: "Today is a game-changer for the campaign to give the people the final say on Brexit. "The passing of this motion has left the door open to Labour backing a people's vote on Brexit, reflecting what the vast majority of Labour members and voters want and a majority in the country want." However, in a round of TV interviews at the Liverpool conference, Mr Corbyn made clear that an election was his preferred outcome. He told Sky News: "We will vote against (a deal) if it doesn't meet our six tests. "The Government will then have to go back to the European Union and continue negotiations, or they might choose to resign and have a general election so the people of this country can decide who they want to conduct these negotiations." Stressing that Labour's priority in any Brexit deal was to protect jobs, manufacturing industry, living standards and workplace and environmental protections, Mr Corbyn denied that his stance was letting down Labour supporters who backed Leave. He told ITV News: "People voted different ways in the referendum but nobody voted to lose their jobs or voted to damage the living standards of the majority of people in this country. "They voted Leave out of anger, anger at deindustrialisation, anger at fly-by-night economics which replaces skilled unionised jobs with zero-hours contracts."